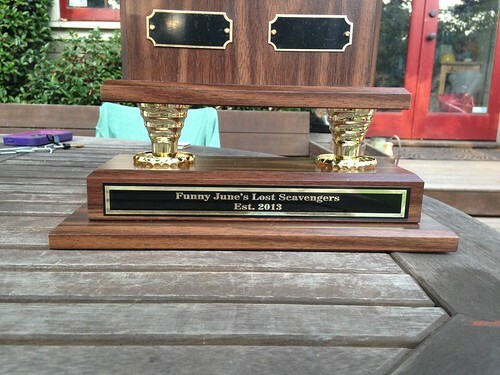 This year I’ve started a family Fantasy Football tournament and affectionately named the league “Funny June’s Lost Scavengers” in honor of my grandma and the scavenger hunts she loves to torture us with when she has the chance to round us all up. In our honorary year their our 16 teams. 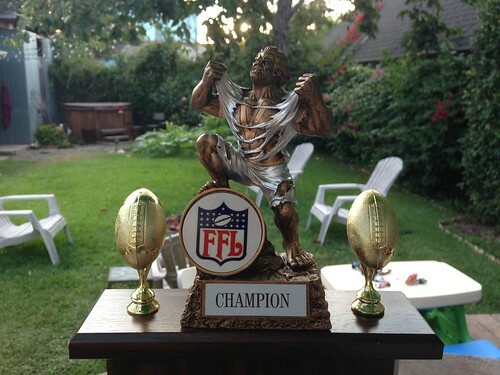 Today the championship trophy I ordered came in and I must say, it’s pretty epic. 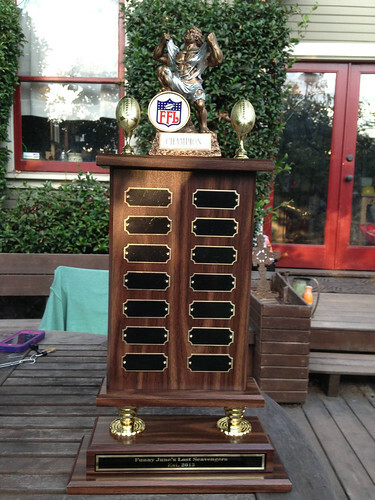 With 14 nameplates to carve a winner’s name this should (hopefully) last for 14 seasons, enough for us honoree members to have kids of our own able to play (and probably win) in the league. enough for me to reach the age 4. scary. Anyways, check out the pics!